Change isn't easy. How we currently live our lives and countless factors affect whether it's possible to thrive. One Community Health is here to guide you in your journey of change. Let us help you find your motivation. Adapted from Swarbrick, M. (2006). A Wellness Approach. Psychiatric Rehabilitation Journal, 29(4), 311–314. We all know there are a number of key lifestyle factors that can affect our health. These things include the food we eat, how often we exercise, our ability to deal with stress, and whether we’re sleeping soundly or not. But that’s not all—good health is more likely when we’ve got a solid support system of friends and family and can carve out time for recreation/hobbies, make desired changes to living environment, reduce intake of alcohol, tobacco or other drugs, spend time in nature, practice spirituality, and have someone we trust to talk with about problems. Thinking about changes to any of these parts of our lives can seem very overwhelming—and rightly so. Changes big or small can be difficult. And yet One Community Health’s behavioral health consultants are specially trained to work with patients and families to identify and support their unique ability for change. For real, lasting change to take place, a person must connect with why they truly want to change in the first place. From that understanding comes the motivation that will help inspire and drive results. Our behavioral health consultants work with patients and families to provide a supportive and directive environment to make lifestyle choices that will improve their overall health, realizing that people will be far more likely to succeed if they genuinely feel an internal desire and commitment to change. Taking an integrated approach to health and wellness means paying attention to how daily habits and overall lifestyle can have an important effect on physical and mental health. Wellness is a result of our individual lifestyles, linked together and impacting one another. The Substance Abuse and Mental Health Services Administration (SAMHSA) has identified eight lifestyle factors that can contribute to a person’s wellness, recognizing that health and wellness are also defined through our unique culture and individual belief systems. 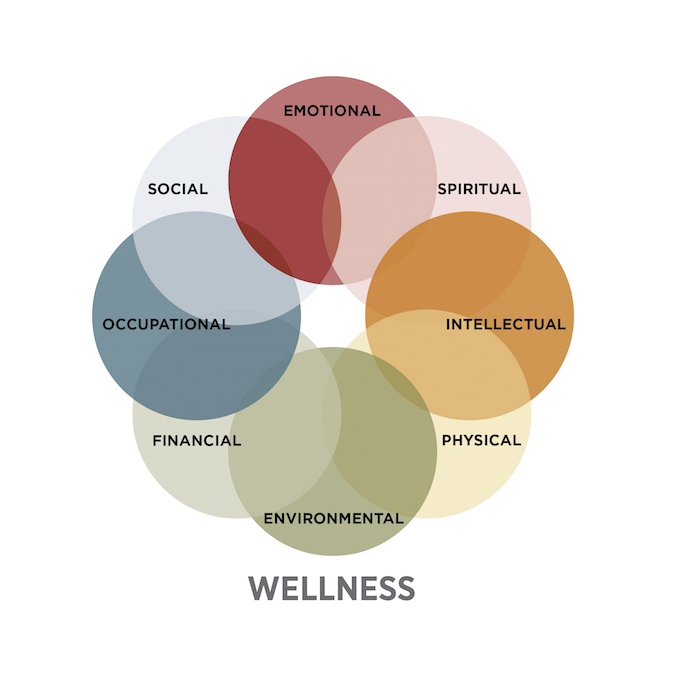 These eight dimensions include: social wellness, emotional wellness, occupational wellness, financial wellness, environmental wellness, physical wellness, intellectual wellness, and spiritual wellness. At One Community Health, we work as a team along a journey to wellness. Inclusion of SAMHSA content does not constitute or imply endorsement or recommendation by the Substance Abuse and Mental Health Services Administration, the U.S. Department of Health and Human Services, or the U.S. Government.